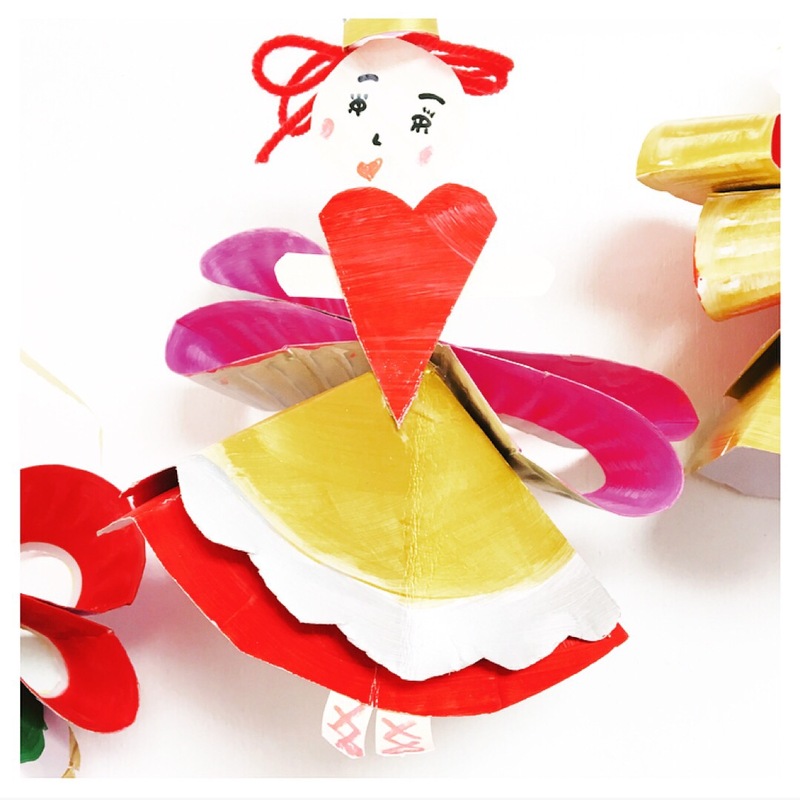 Looking for some gift ideas for creative kids? I believe that all kids are creative. So really this article should carry the title of “Gift Ideas for Kids.” A mere trifle. 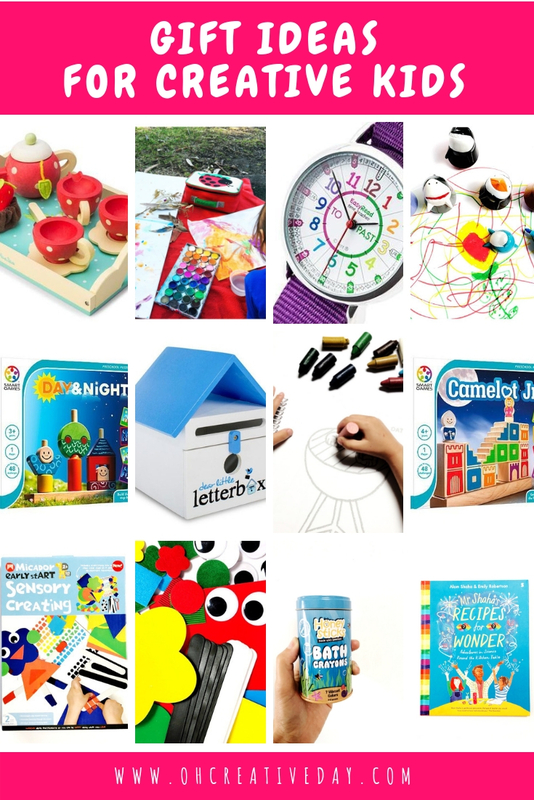 When I’m on the hunt for good gift ideas for kids, I’m always looking for products that promote open-ended creating and playing and offer good quality for a good price. But not in a “you-will-need-to-mortgage-your-house-in-order-to-buy-this” kinda way. Here are some of the products that we love using here. As well as some of the actual gifts that I have bought for my kids for Christmas this year. This post contains affiliate links- at no extra cost to you. I reply with the same answer every. single. time. It’s such an awesome, low-mess painting option. 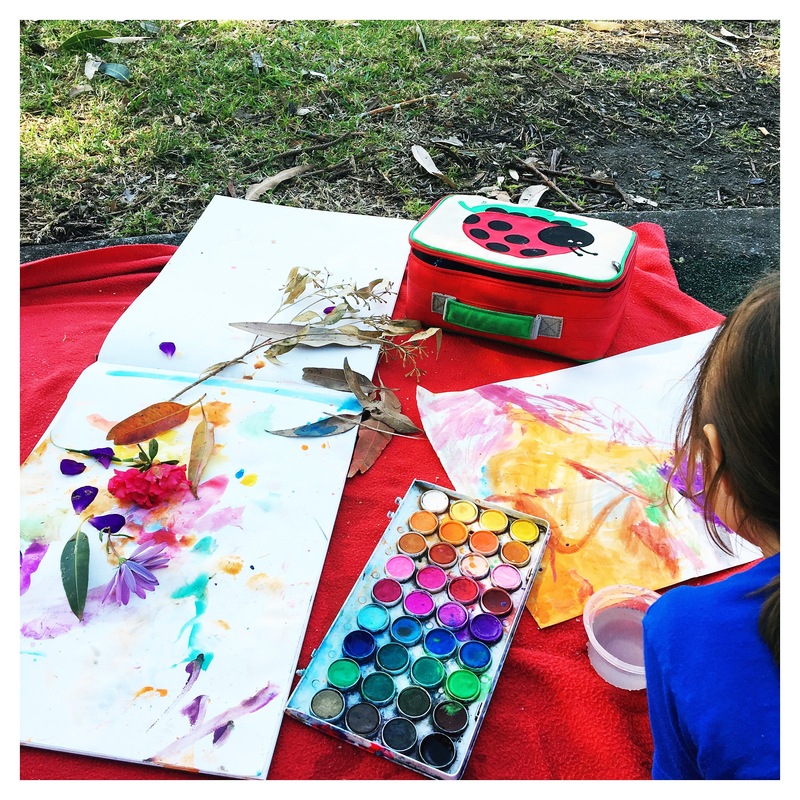 It’s also portable, so you can take your painting into the Great Outdoors. We bought our original 36 disc set. Micador sent us the jumbo palettes to try and we adore them. My kids burn through markers at an epic rate. I had yet to come across a set of markers that really impressed me until we were sent some Micador Early StART Besties Marker Mates to try. My husband and I have been blown away by how engaging our children find these and we attribute this to the fact that a) they are super cute and b) the chunky barrels are perfect for little hands to grip. Our kids have the Jungle and Underwater versions. If you’re looking for a complete, all-inclusive creativity kit, the Micador Sensory Packs are great. We were given the Sensory Creating Pack to try and it was filled with a great variety of cardstock, craft sticks, tape and decorative embellishment. They also have a painting and drawing pack. These would be great to pack for holiday travels and road trips! 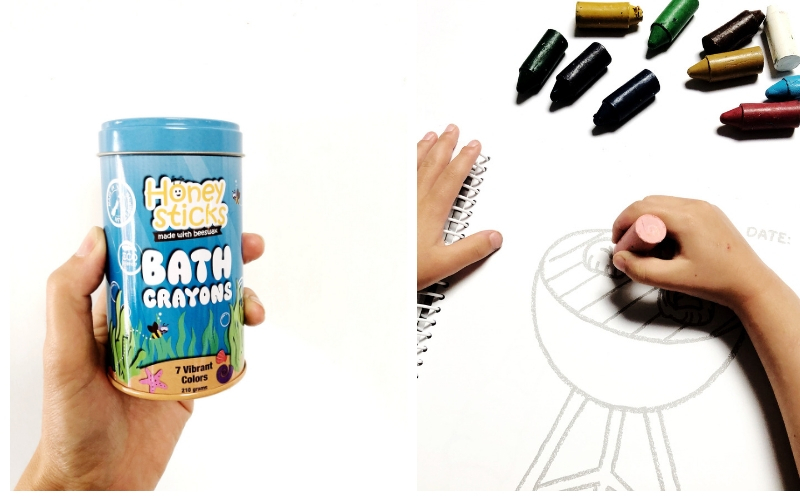 Creating should happen everywhere at anytime and these bath crayons from Honeysticks make that happen. We were gifted these along with Honeysticks Original beeswax crayons and a Toddlers First Colouring Book. My Mr 3 immediately remarked that he loved the smell of these natural, non-toxic crayons. They are the perfect size for little hands. The colouring book comes in three country-based themes: New Zealand, Australia and North America. The pictures are large and without too much detail, making them absolutely perfect for the under-5 set. Kwik Stix are ah-mazing for vibrant artworks with minimal mess. They are tempera paint sticks that glide on so smoothly and dry almost instantly. 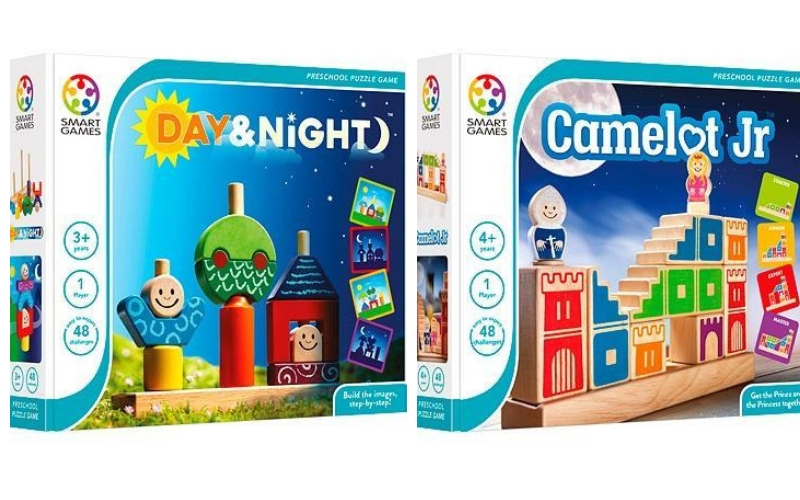 I have bought Camelot for my Miss 5 and Day & Night for my Mr 3 for Christmas. Both are games of logic. Children choose a challenge and try and arrange the game pieces to fulfill the challenge. I can’t wait for my kiddies to unwrap these. I’m anticipating loads of fun, playing together. My kids have requested a letter box for Christmas. This makes my teacher heart squeal because think of all the authentic writing experiences it will encourage! Encourage some imaginative play with this seven piece doctor’s set or this sweet tea party set. Here are some of our top picture books for 2018. If you have an animal-lover, here are some of our favourite picture books about animals. Got a little reader obsessed with vehicles– here are some of our favourite transport books. 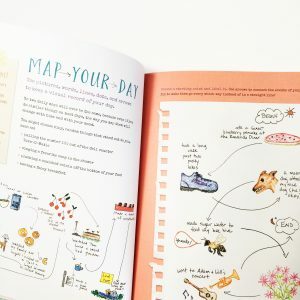 If you’re looking to incorporate more creativity into your family’s life, I highly recommend Journal Sparks by Emily Neuburger. 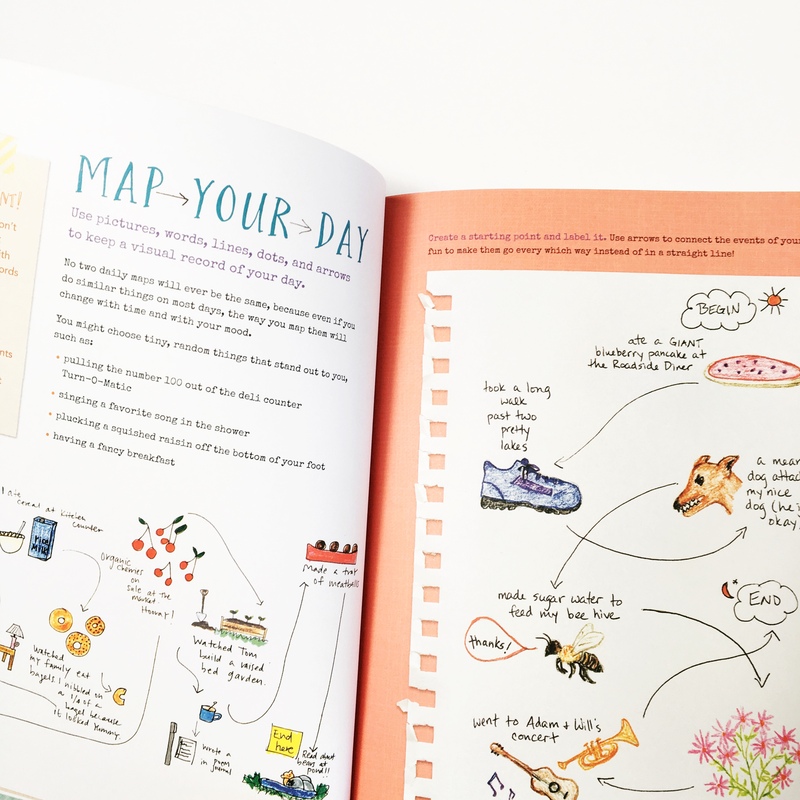 It is filled with prompts and inspiration for creative journaling. 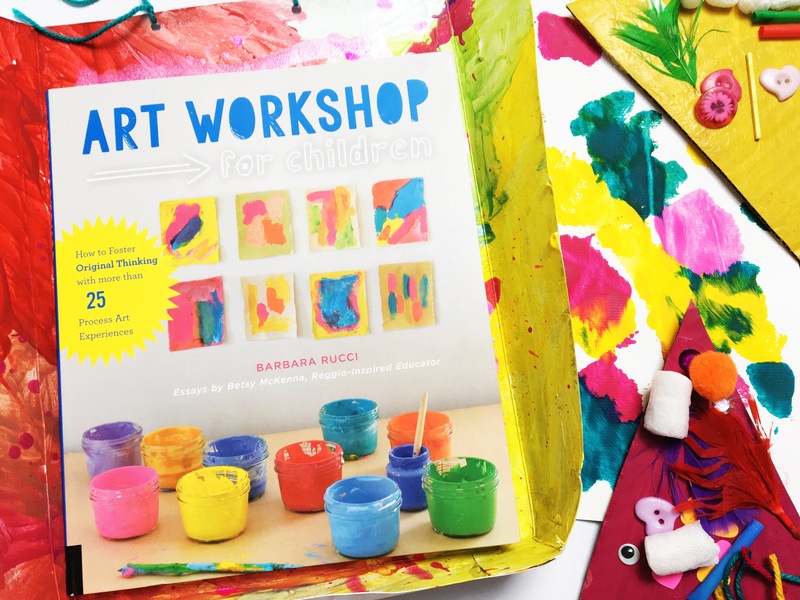 Art Workshop for Children by Barbara Rucci and Betsy McKenna is another book that regularly gets pulled off the shelf for an inspiration hit. Read my review of it here. Why do I love KidArtLit? They are basically everything I stand for, but in product form. 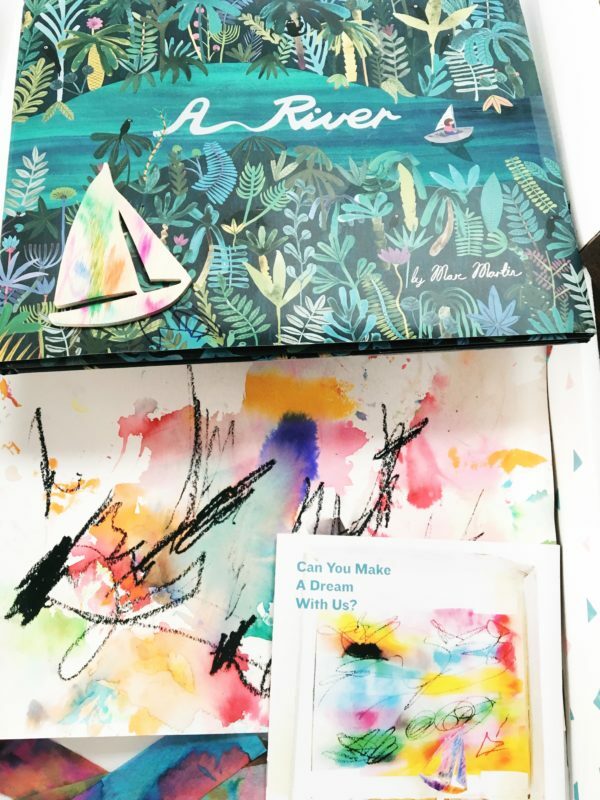 Their boxes are delivered straight to your door and contain a top-quality picture book with carefully curated arts and crafts projects, paired to the book. Each kit contains a detailed guide book and all the materials you will need. The kit’s contents change on a monthly basis. You can choose to subscribe to a year’s worth of boxes, or simply one-off deliveries. 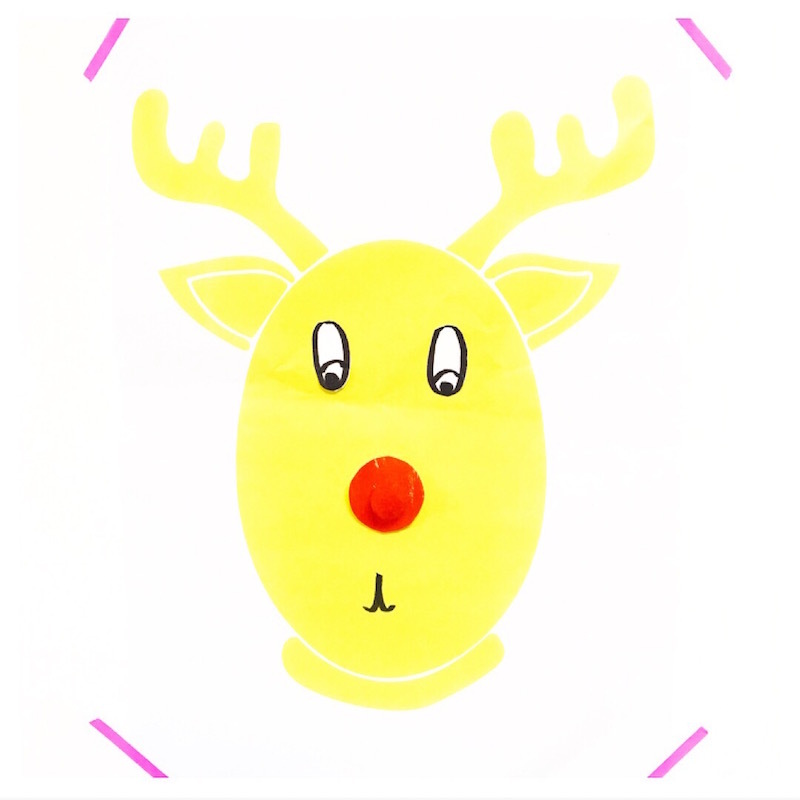 This is a perfect gift choice if you have a loved little one in a faraway place. Bookish, arty magic delivered straight to their door! You can read my KidArtLit reviews here. and here..
Do you have a young scientist at your place? These Curious Kids Science Kits were made for them! 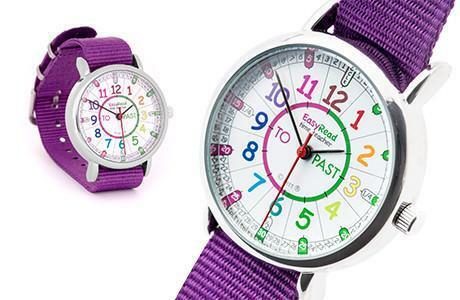 Got a little one obsessed with learning the time? 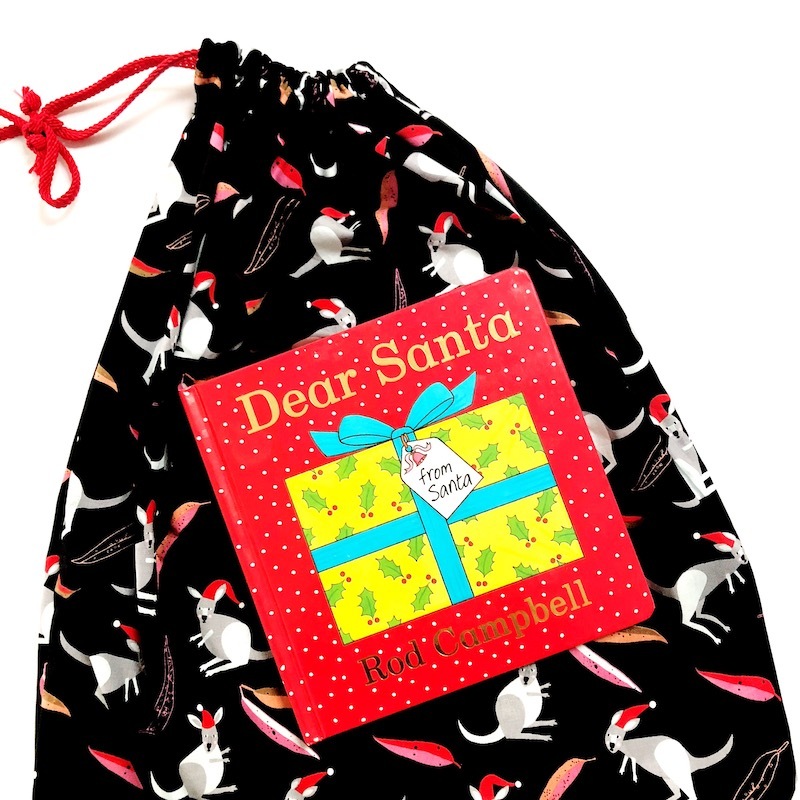 My Miss 5 received this Easy Read Watch for Christmas last year. My eldest starts school next year and I’ve been eyeing off these letter blocks from Page and Pine. How beautiful are they?! Imagine all the fun word play you could do with them! 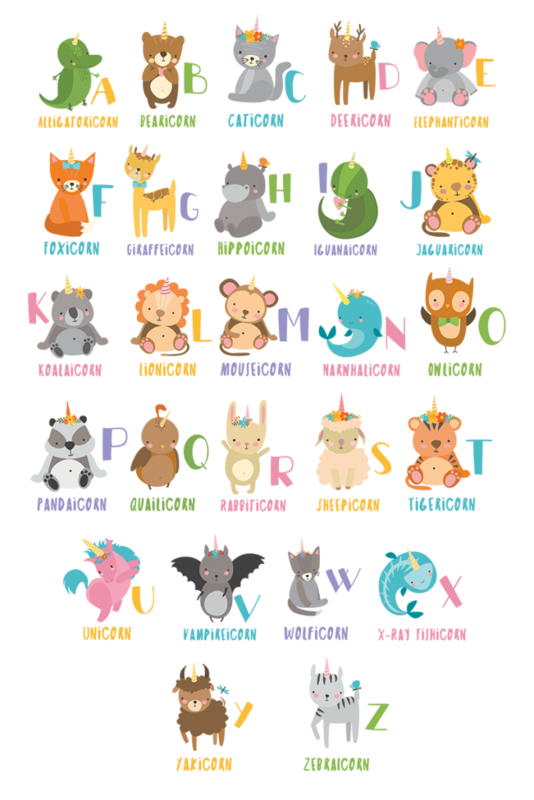 Favourite animals in unicorn form? Yes please! This super cute alphabet poster hangs in my kids’ playroom. On the Send a Unicorn website, you can also send sweet, unicorn-themed stationery boxes. Another great gift option for a little somebody who might not live nearby. So there you have it. 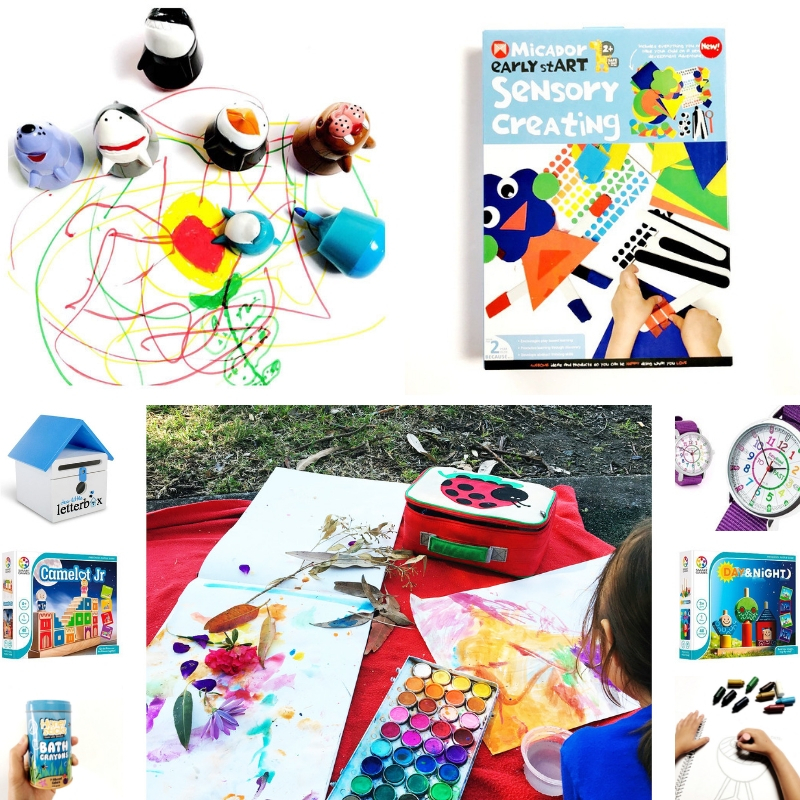 19 gift ideas for creative kids. Plus a whole lotta book recommendations. And most of them can be ordered online. So you can do all your shopping in your pyjamas.